This is the third installment following Part 2, which demonstrated the editable grid from inside Microsoft Dynamics CRM 2013, and Part 1, which introduced the editable grid in CRM 2011. This blog introduces paging. 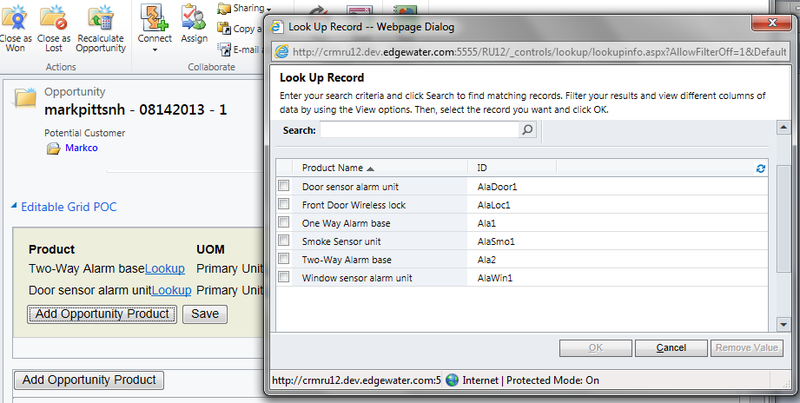 I will first demo what the grid looks like with paging in a CRM 2013 environment. Afterwards, I will walk through the main block of code. I adopted the concepts from this great blog post from Ryan Vanderpol, about adding a pager to a grid. The following screen shot demonstrates the pager inside the grid. The “Previous” and “Next” buttons allow the user the move forward and backwards one page. Currently, the “Previous” button is disabled because the first page is being displayed. The numbers “1”, “2”, and “3” represent the page numbers. The following code represents the additional changes required to the source originally introduced in Part 2 of my blog. I have made changes to the following source. The below html web resource. <tbody data-bind=”foreach: pagedList“> Loop through pageList instead of oproducts collection. <div class=”pagination”> Represents the paging UI controls. This code uses the styles from bootstrap CSS. self.pageSize = ko.observable(3); Establishes the number of rows to display per page. self.pageIndex = ko.observable(0); Determines what page to start on when the form loads. self.moveToPage(self.maxPageIndex()); This is called after a record is removed. Resolving deadlocks when saving multiple records from the editable grid. Do you have any suggestions on what you would like to see? 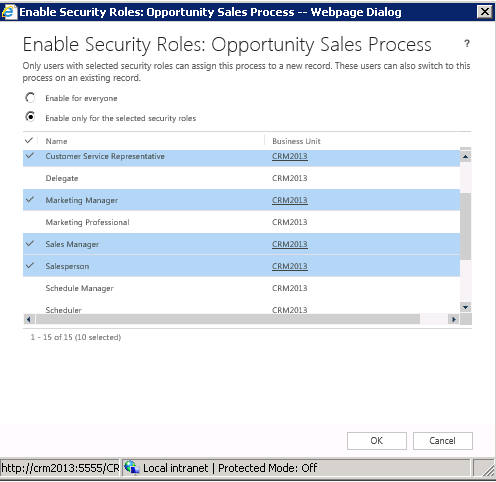 This is the second installment following Part 1, which introduced the editable grid in CRM 2011. 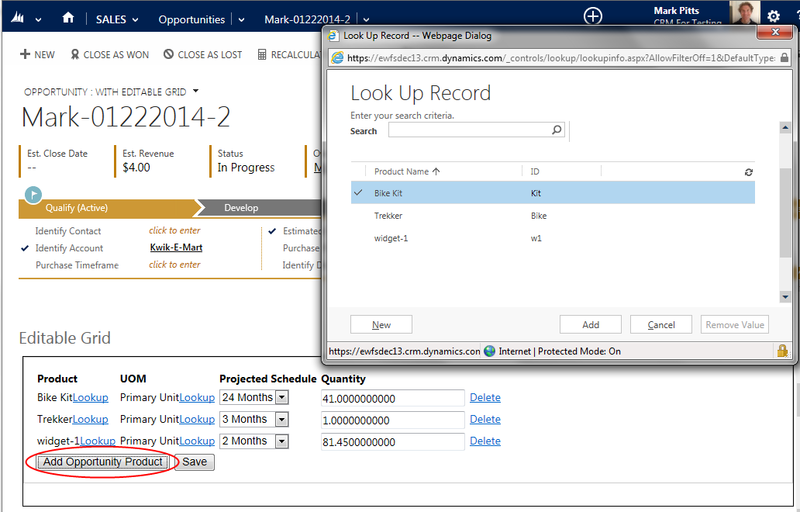 Since then, I have upgraded the editable grid to work in CRM 2013. 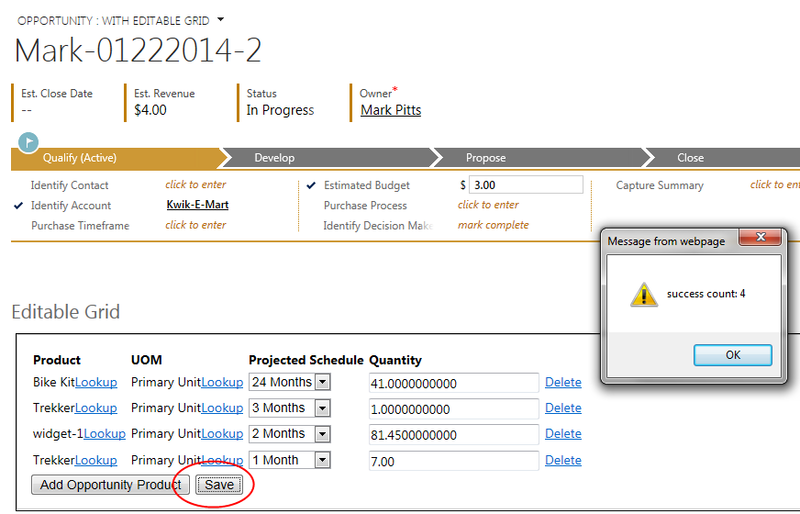 In this blog, I will first demo what the grid looks like in CRM 2013. Afterwards, I will walk through the main block of code. The following screen shots demonstrate the editable grid of opportunity products inside of the opportunity. 5. As a proof of concept, the code takes the count of opportunity products, and updates the parent ‘estimated budget’ field. This demonstrates updating the parent opportunity. The following code is reference implementation that you can adapt to your needs. 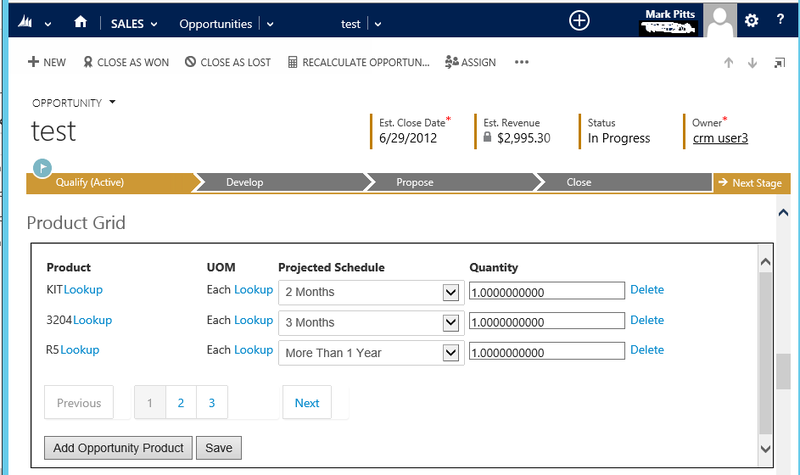 Polaris release: We began the year with a new UI for online CRM users which had just been introduced the prior month. This gave us our first feeling of a more intuitive, flat UI. It was a great “teaser” to what was to come later in the year. Sales and service professionals were able to work much more easily and efficiently in CRM. What a great success! The concept of the Business Process Flow was shown in the new flattened UI. Included in the release was support for using CRM on an iPad and use of CRM in web browsers Safari, Chrome and Firefox. This signified the beginning of the shift to a Bring Your Own Device (BYOD) strategy. Skype was introduced as an alternative to communication mediums in addition to Microsoft Lync. Lastly, Yammer was made available to integrate into the UI. While all of these updates applied only to online CRM users, the additional browsers were also supported in a companion release for on-premise through Update Rollup 12. Yammer: Microsoft acquired the social media company Yammer. It provides a communication medium by which employees may collaborate in a Facebook-like interface. Yammer may also be used to communicate with external audiences. All communications are held private and not available to the public internet. The long-range implications include Yammer being used within/alongside Dynamics CRM, SharePoint, Office 365 and Skype. 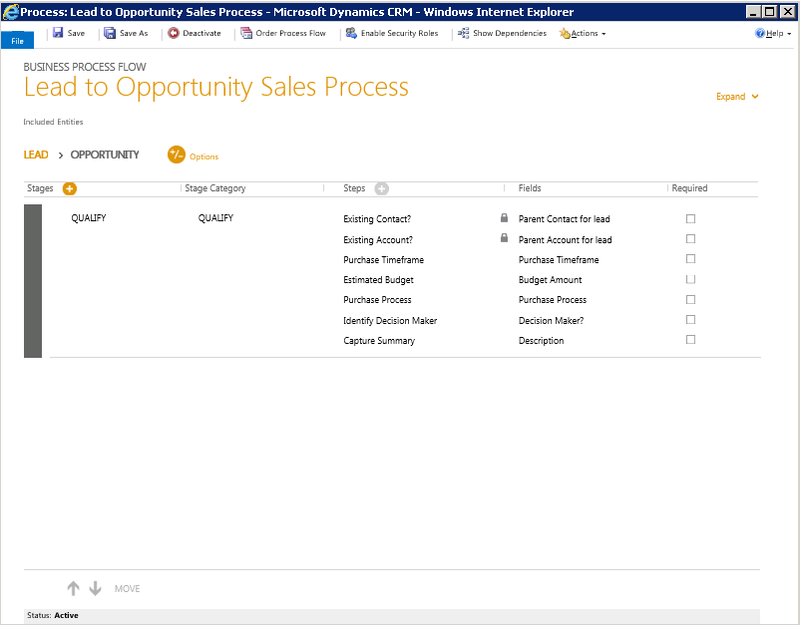 Already, the application can be used within Dynamics CRM. 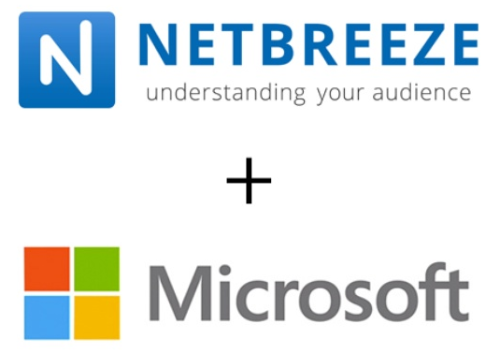 Netbreeze: Microsoft acquired the company Netbreeze which provides social media monitoring. In this way, your company is provided a snapshot summary (and can drill to the underlying data) of how it is perceived across social media sites such as Facebook and Twitter. This data is invaluable to companies who need to actively monitor and respond to the public’s perception. Netbreeze is still a stand-alone application, but will be integrated with Dynamics CRM in the not too distant future. Gemini release: In early second quarter, MarketingPilot was popularized. It opened up online integration to CRM, previously available only through 3rd party integration efforts. MarketPilot is a companion application which further extends CRM. 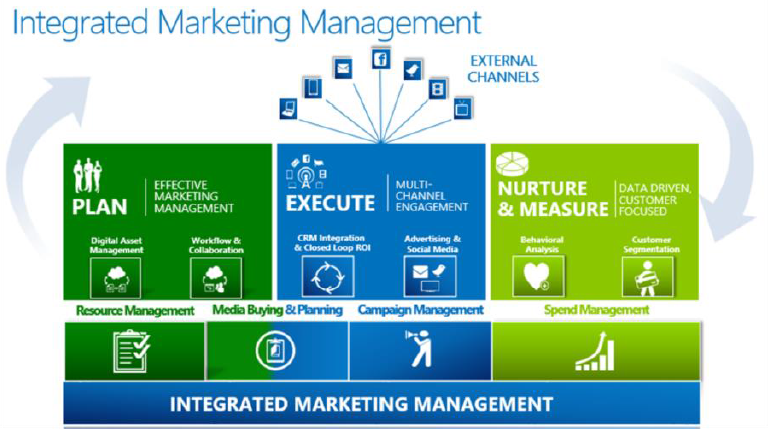 It provides end-to-end marketing management capabilities beyond CRM’s marketing list and campaign management disciplines. This list of additional disciplines includes but is not limited to: strategy and planning, digital asset management, vendor management, media planning, and budget management. Also included in its capabilities are behavior tracking and landing pages which, prior to MarketingPilot’s integration, was supported only by products such as CoreMotives, ClickDimensions and Constant Contact. While MarketingPilot provides functions similar to these named applications, Microsoft has been clear that each of these and others have features that still present a compelling case to use these over or in addition to MarketingPilot. 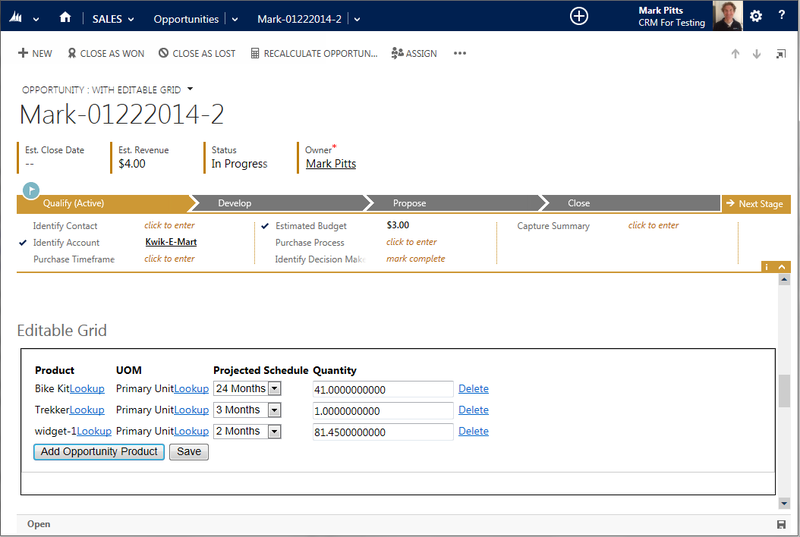 CRM 2013 (aka Orion) major release: As we all know due to the buzz in the latter half of this year, CRM 2013 (aka Orion) was soft-released in October 2013 with the global kick-off launch in early November 2013. 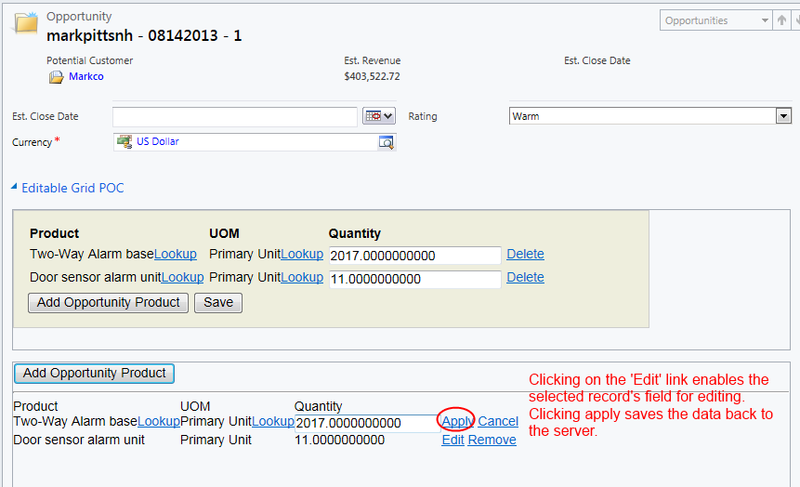 The changes flat UI and business process flow adjustments from Polaris were incorporated into this new release. It is available for both online and on premise customers. 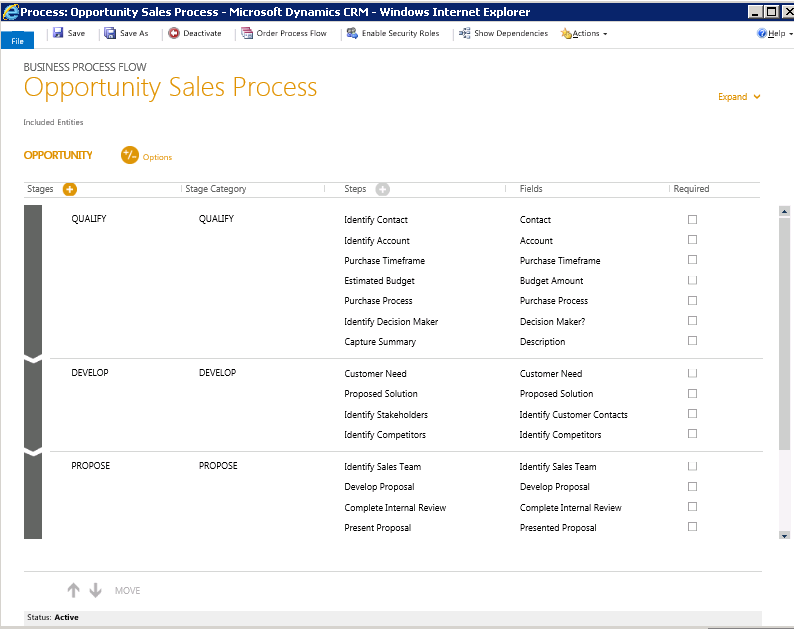 Similar to the roll out of Polaris-like features, the Gemini hallmark MarketingPilot integration was also included in CRM 2013, but also made available to on premise users of CRM in addition to online users. An additional major part of CRM 2013, as if the business process flow and Flat UI improvements weren’t enough, was mobile for tablets and smart phones. There are many new features in the new release. See my prior blogs for some of those. InsideView: Microsoft formed a strategic partnership with InsideView. InsideView monitors publically available information sources on the internet and summarizes that information for companies and individuals. It has been available as a 3rd party add-in solution for Dynamics CRM for several years. The data is displayed in a window inside of lead, opportunity, contact and account records. Through this partnership, Dynamics CRM Online users get to use the tool at no additional license cost and there is a discounted license cost for on premise CRM users. 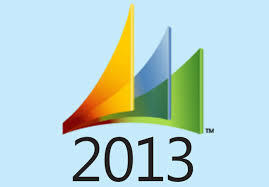 As you can see, much has happened in the world of Microsoft Dynamics CRM in calendar year 2013. Microsoft plans to have approximately two major releases for online users every year. Already, we know of a few enhancement releases coming, Leo and Vega. We can’t wait to see what comes next. 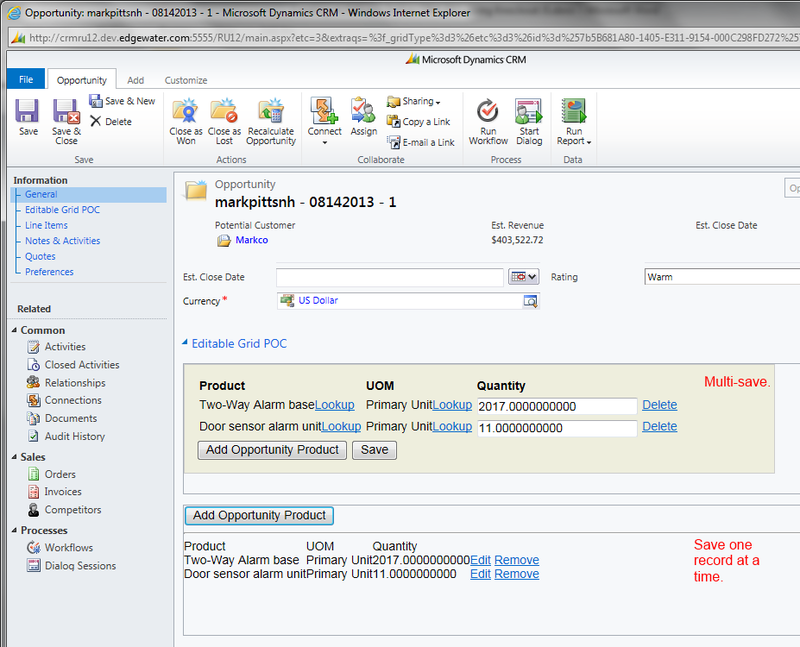 To learn more about these new features, click on the following link: http://blog.dynamicscrm2013.com/. 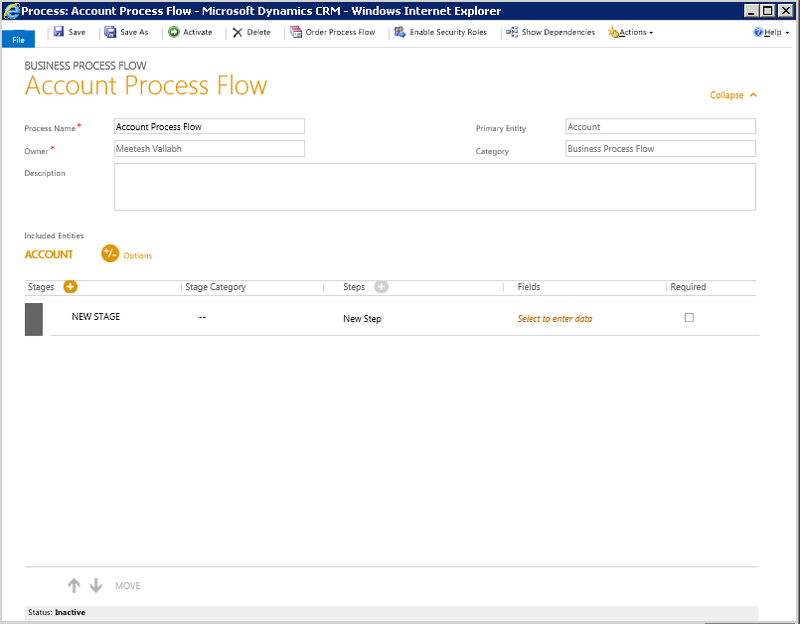 While there are many new features to be released with CRM 2013, the one in particular I would like to elaborate on in this article is called Business Process Flow. So what are the basic steps to create a business process flow? 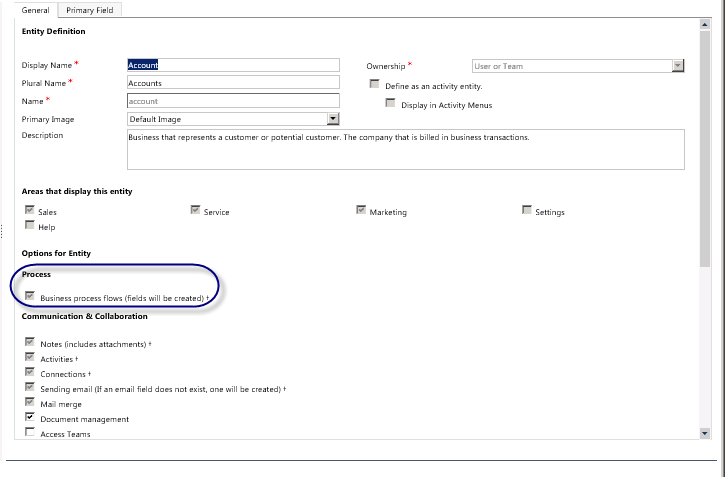 When the business process flow functionality is enabled on a custom entity, the following two fields will automatically be created. The ‘ProcessId’ signifies the ID of the process associated with a particular record whereas ‘StageId’ signifies the ID of the current stage of a particular record in the process. Switching: Multiple business flow processes can be created per entity and as such one can switch from one process to another in a particular record using the option available under the ellipsis in the record menu command bar. 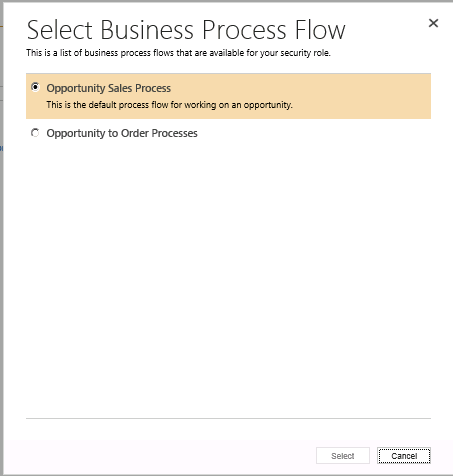 Selecting the ‘Switch Process’ option opens up a ‘Select Business Process Flow’ dialog like the example below. Select the process you would like to switch to and the record will be refreshed with the new selected process. Process Editing: The process that is currently selected in the record can be edited directly from the record using the option available under the ellipsis in the record menu command bar. However, please note that in order to edit the business flow process, one must have the appropriate privileges in his/her security role(s). 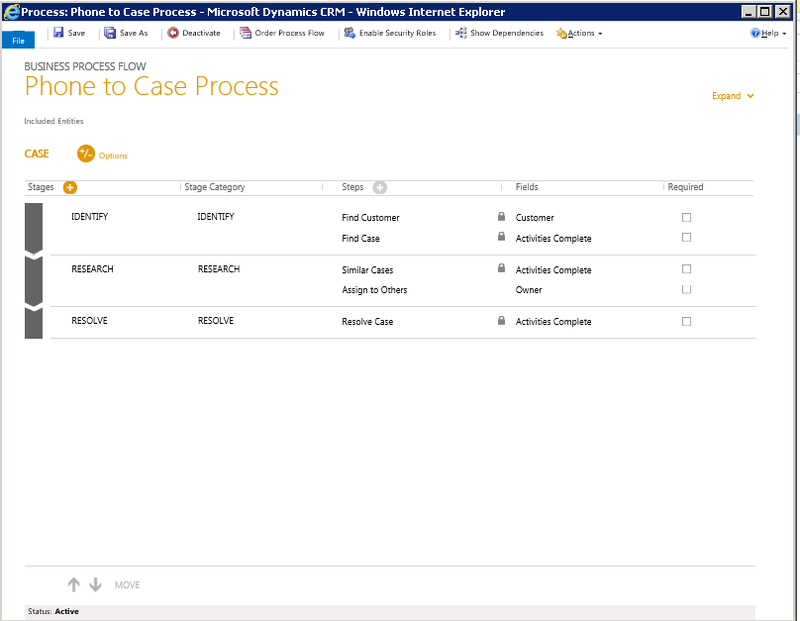 Now that the end user can design business process flow, Microsoft Dynamics CRM 2013 will really provide a process driven user interface.